Polly Bechtold is a graduate of the Bridge to Biosciences Program (Lab Assistant Certificate) and the Biotechnology Program (Biotechnician Certificate) of City College of San Francisco. 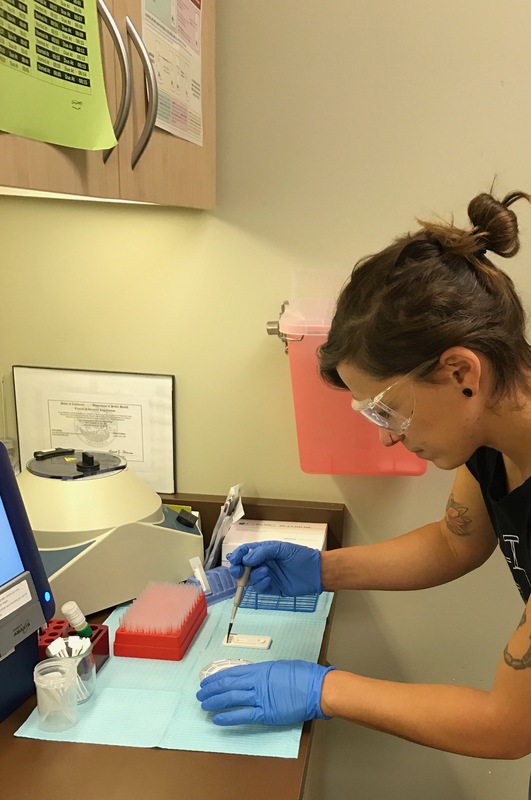 She currently works at the San Francisco AIDS Foundation collecting blood samples from patients and testing them for different types of infections. She also tests samples to assess kidney and liver function and talks to patients about their health. 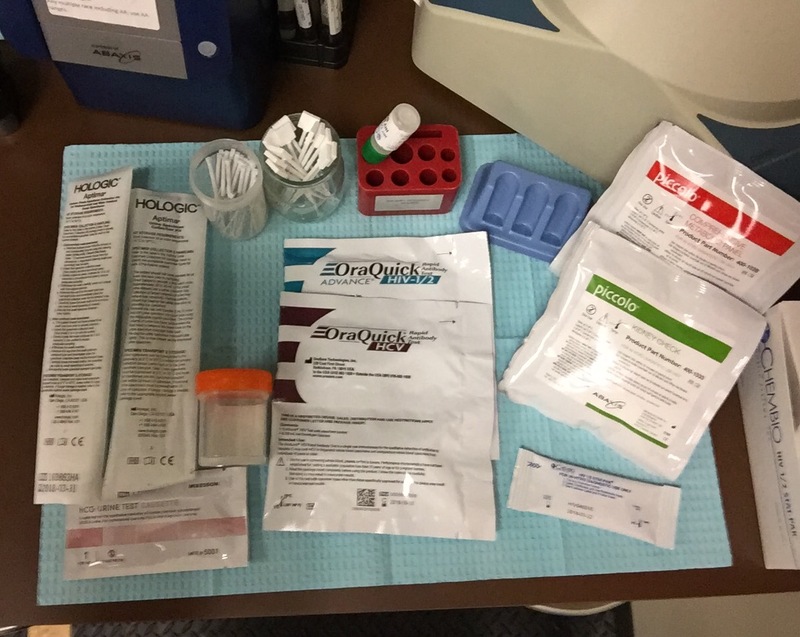 I collect samples from clients; blood (for HIV, Hep C, Hep B, Syphilis, Comprehensive Metabolic Panels, and Kidney Checks), throat swabs, rectal swabs, and vaginal swabs (for Gonorrhea and Chlamydia) and urine (for folks who are symptomatic at our Strut Clinic). I process and read in-house laboratory testing which includes running and reading results of rapid HIV antibody tests (Stat-Pak & Oraquick), rapid HCV (Hepatitis C) tests (Oraquick), Comprehensive Metabolic Panel (for folks who are enrolling in PrEP, pre-exposure prophylaxis medications for HIV, to check liver and kidney function before going on PrEP, Kidney Checks (for folks who are already on PrEP to monitor kidney function while on PrEP every 3 months) and Urinalysis. In addition, I provide HIV and HCV test results and counsel clients about HIV, HCV, Gonorrhea, Chlamydia, and Syphilis as well as provide referrals to Health Navigation, PrEP Navigation, Harm Reduction Counseling, HCV Wellness Programs to link Hep C positive folks to the cure, Syringe Access Services (for folks who inject to access safe injection supplies), and link people to various other resources outside of our Organization such as mental health services and other services to meet client’s needs. 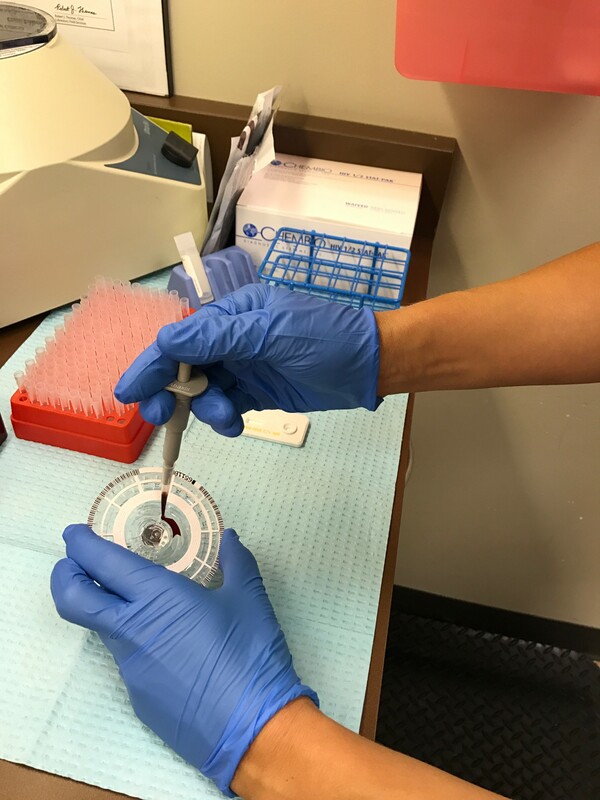 To summarize, I collect samples from clients, process in-house lab tests, and counsel clients about sexual health, HIV and Hep C.
Running the lab for clients who show up for their PrEP Follow-Up or PrEP Enrollment appointments - this includes a full sexual health screening to test for HIV, Syphilis, Gonorrhea and Chlamydia in addition to the Metabolic Panel, Hep C and Hep B testing. Working with my team on our Mobile Testing Unit which is a CLIA Certified lab on wheels. 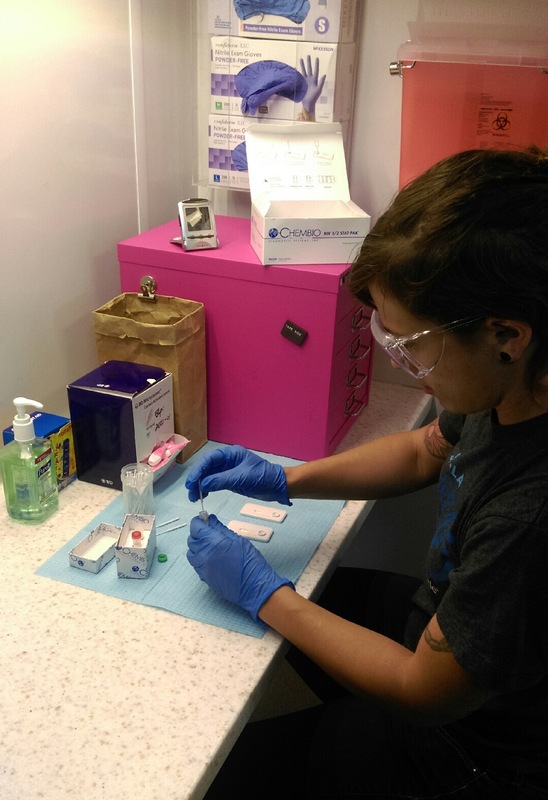 Our Mobile Testing Unit provides HIV testing to anyone who comes on board and full sexual health screenings for folks who qualify, as well as Hep C testing for folks at risk of Hep C infection. Network as much as possible. I was fortunate to land this job because of networking in the community. Keep your options open and keep an open mind. Biotechnology can open many different career paths. You never really know where you will end up. 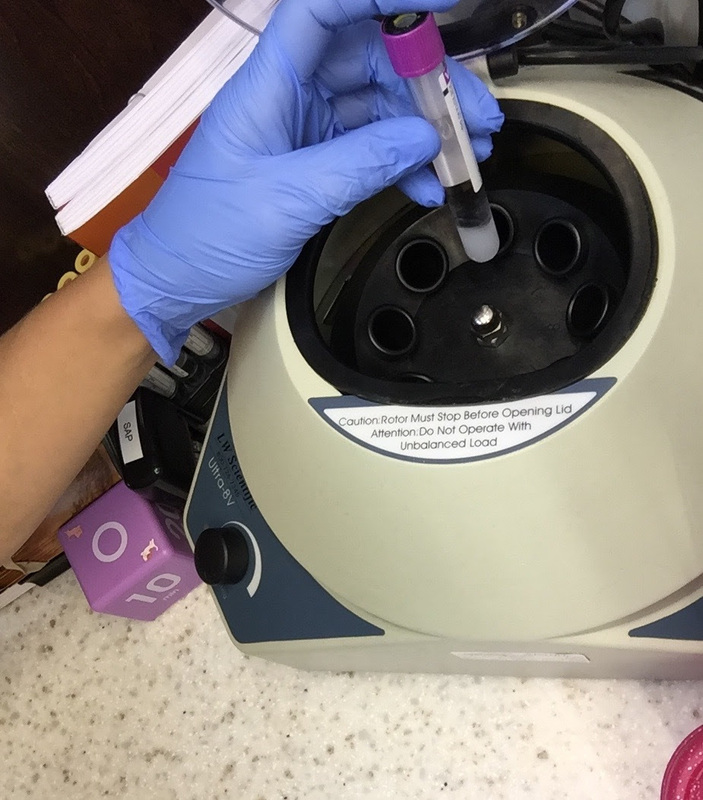 I had not planned on going the Medical Lab Technician route, but here I am and I am loving what I do. Take every opportunity to meet people in many different fields related to biotechnology because biotechnology can lead you in many different directions.